Hartsfield–Jackson Atlanta International is known worldwide as the busiest airport on the planet, and other local airports such as DeKalb-Peachtree in northeast Atlanta and Dobbins Air Reserve base in Marietta are well known to Atlantans. Yet, most residents are oblivious to the dozens of former airports scattered around metro Atlanta, sites that are now subdivisions, strip malls, highway interchanges and even a prison. Here is a look at 10 abandoned and forgotten airports of metro Atlanta. 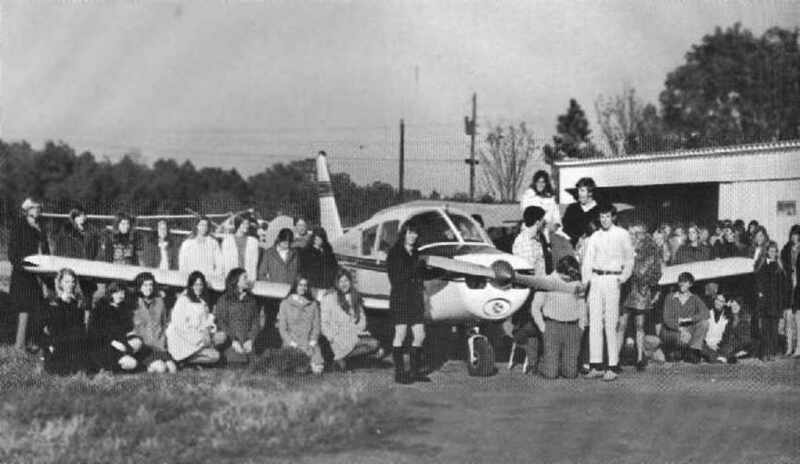 Students from North Springs High School posing for a yearbook photo with an aircraft at Parkaire Field in 1970. Photo from Joe Price via the Abandoned & Little Known Airfields website. Parkaire is a familiar name in Atlanta and has long been associated with the well known shopping center at Johnson Ferry and Lower Roswell Rd. in east Cobb county. What many people don't realize is that the mall was built on the site of an old airport, Parkaire Field. The airport was built in 1945 and remained in operation until 1972 when it was closed to make way for the development of Parkaire Mall, which featured a large indoor ice skating rink. The mall was razed in 1986 and replaced by the appropriately named Parkaire Landing shopping center which remains in operation today. Aircraft at Stone Mountain Airport in 1971. Robert Brown via the Abandoned & Little Known Airfields website. Stone Mountain Britt Memorial is perhaps the best known abandoned airport in metro Atlanta. It bordered the eastern side of Stone Mountain Park and the light aircraft and gliders using the airport were a constant sight around the mountain. Built in the late 1950s, Stone Mountain airport remained busy until 1996 when it was closed and converted to a parking lot for the Olympic events held at Stone Mountain. Following the Olympics, the airport never reopened and all hangars and buildings were demolished. The runway remains intact and a portion of it is now used by the Stone Mountain R/C Flyers, a group flying radio control aircraft. Hundreds of thousands of metro Atlantans have enjoyed concerts at Lakewood Amphitheatre and many still remember the roller coaster and attractions from when the site was home to the Lakewood Fairgrounds. In the 1940s, directly across the street behind the stage of the amphitheatre, pilots flew in and out of the largely forgotten Lakewood Airport. 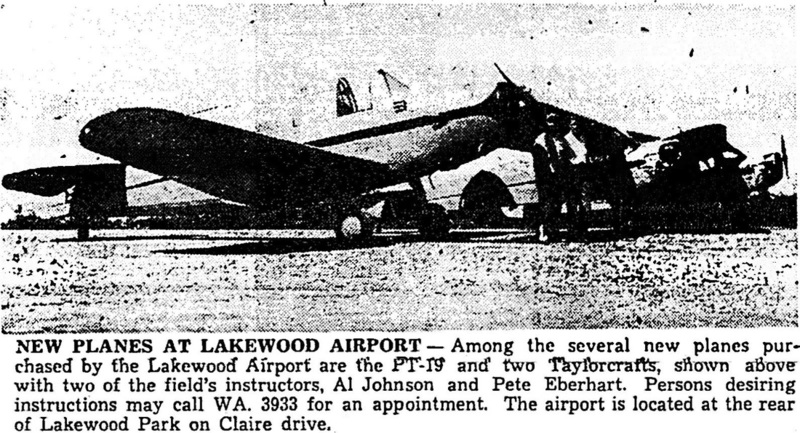 Opened in the early 1940s, Lakewood Airport offered flight instruction to prepare pilots for service in World War II and was commonly used for air shows. After the war, safety concerns prompted the closing of the field and it was redeveloped as the massive "Village Homes" apartment complex in 1950. A bird's eye view of the Air Maintenance Division, Atlanta Army Depot on December 17, 1968. AJC via Georgia State University. Morris AAF was located in the Fort Gillem Army military base in Forest Park, also known as the Atlanta Army Depot, only a few miles east of Atlanta Hartsfield-Jackson Airport. The single runway airfield was constructed in the late 1950s and was home to the air maintenance division which performed work on fixed-wing aircraft and helicopters. Increasing traffic at nearby Atlanta Airport forced the closure of the field in the early 1970s. The airport structures are gone but the runway and ramp area are still intact and are occasionally used for the storage of military equipment. An aerial view of Cobb Airfield on Austell Road taken March 29, 1952. Two aircraft can be seen at the north end of the field. A large apple orchard bordered the southern end of the airport. It might be difficult for motorists on the busy stretch of Austell Road near Floyd Road in Cobb County to imagine the heavily developed landscape as a rural airport surrounded by rolling hills of apple orchards, but for decades that's exactly what was here. Cobb Airfield, also known as Cobb Airpark, was in operation as early as 1951 and was used by private aircraft as well as by the Civil Air Patrol. The airport was redeveloped as the Marbro Twin Drive-In Theatre in 1968 and is now the site of Ivy Commons apartments and the Cobb Marketfair shopping center.